EMD F units - THE classic American locomotive. 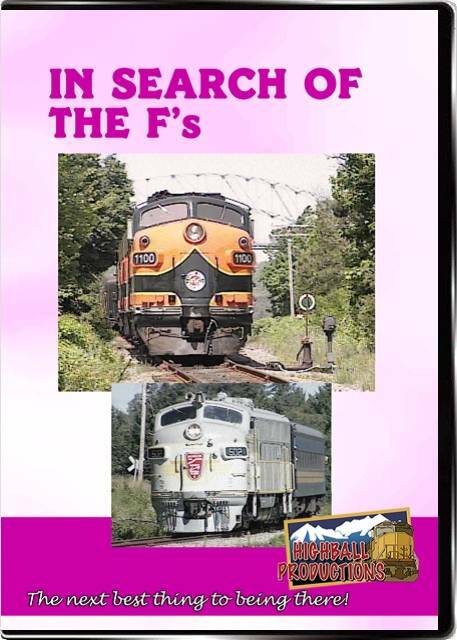 We searched out some of the last remaining F's in 1992. We start the program with BAR's beautiful F3 in excursion service, MBTA F10's in their last year of service then in Cape Cod's pretty orange and green, MARC F's and an E and CSX F's in Baltimore. Long Island has ex F unit "power packs," PATRAIN on the last day of service then as Shore Line in New Haven paint. Both Amtrak and Metro North unique double powered FL9's along the Hudson, GO's control cars, VIA and Montreal commuter F's all make an appearance.